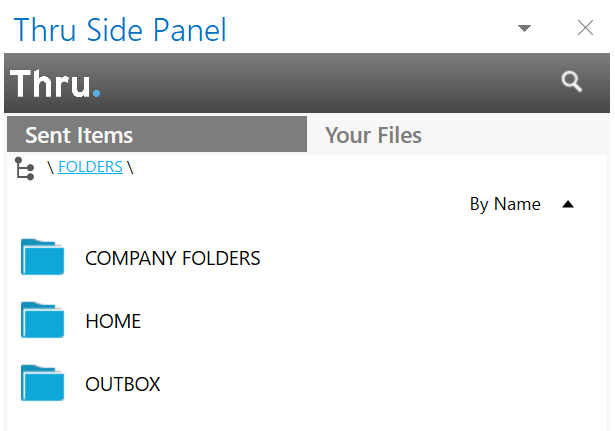 The second tab within Thru Side Panel, Your Files, is where you can access and manage all files you have stored in Thru. 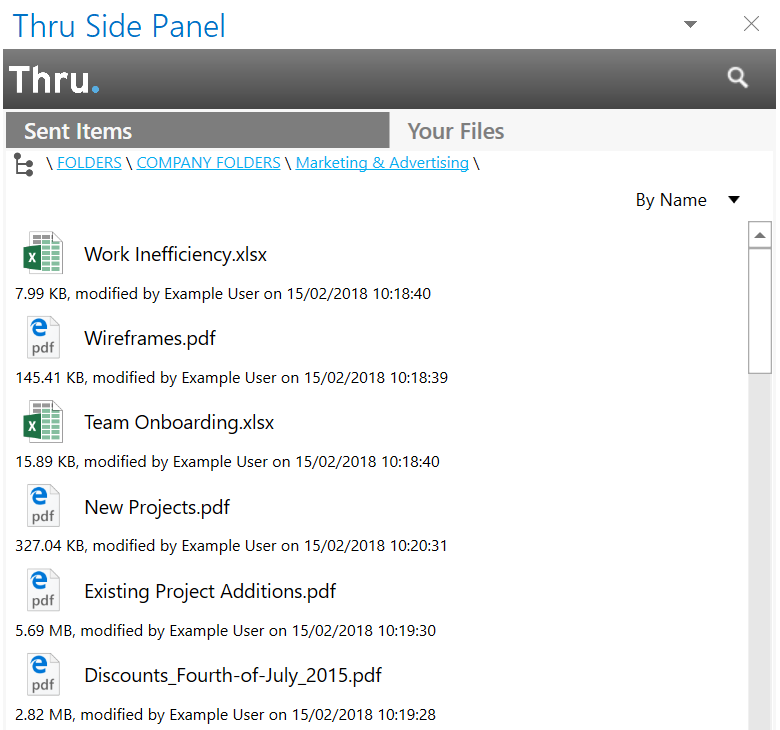 Navigate within your file system by double-clicking on folders and by using the folder path located above the folder tree. 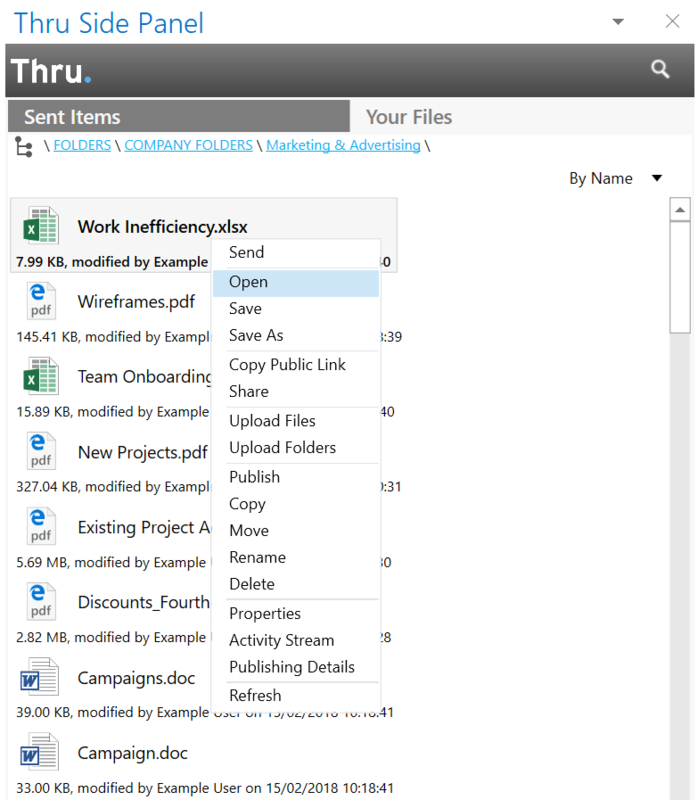 Right-click on any file or folder within Your Files and you will see the various actions that can be performed.